130MBLS Industrial Grade LED. Other colors available. Chart Paper, 0 to 2000F, 24 Hr, 10 Inch. 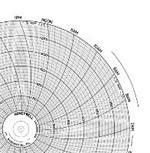 For DR4200, DR4300, and Future Design DR5000 Chart Recorders. Other charts available. Call 813-695-0924 for Shipping Quote. Quantity discount for 100 or greater. Element, Sleeve, Terminal Block, and Head. Pre-assembled. Other sizes available. 5 Hour Timer without dial. Most commonly used on Matthews and I.E.E. crematory units. Fits B&L 499 Processing Stations. 12" carbon steel wire strip brush. Bristles are 3 inches long and .020 inches thick. Also comes in 10" and 6".